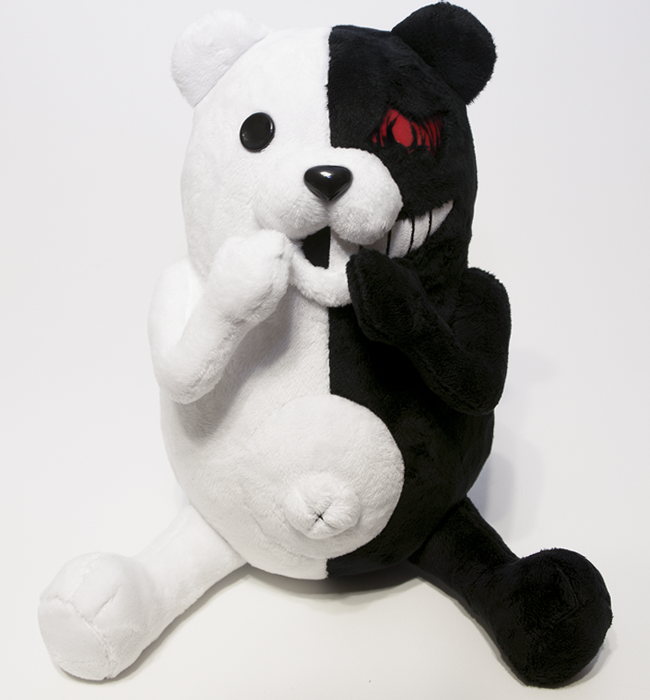 A plushie of Monokuma, the adorably creepy and manipulative teddy bear from the Dangan Ronpa series. 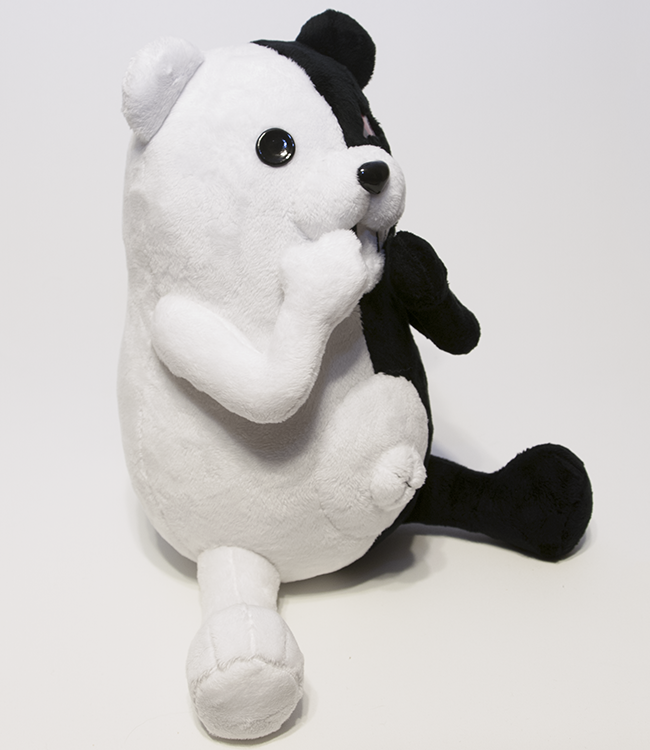 The plushie is made from minky and packed with high quality stuffing for a soft, cuddly touch. His nose and black eye are hand sculpted from polymer clay, and his hypnotic red eye from Worbla, custom hand painted, and all are coated with a clear acrylic gloss for protection and shine. 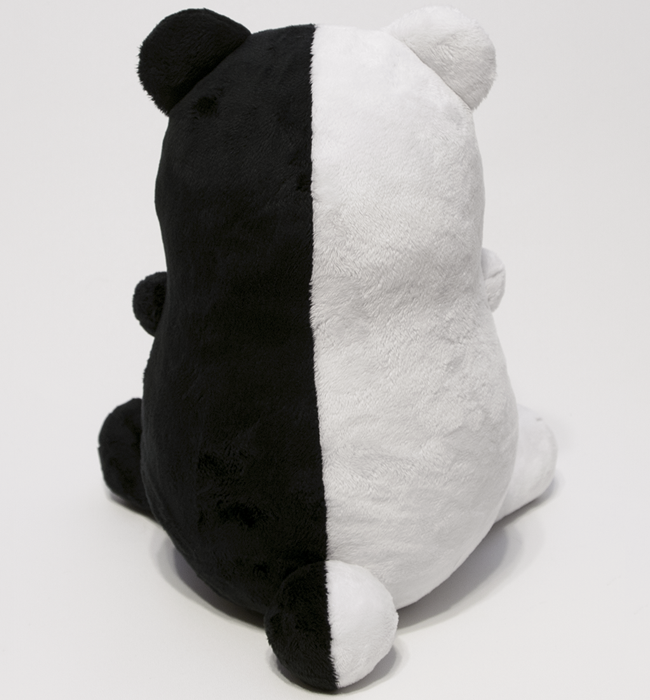 His mouth is made of synthetic suede with embroidered lines, for a soft touch while also providing textural variety from the rest of the plushie. 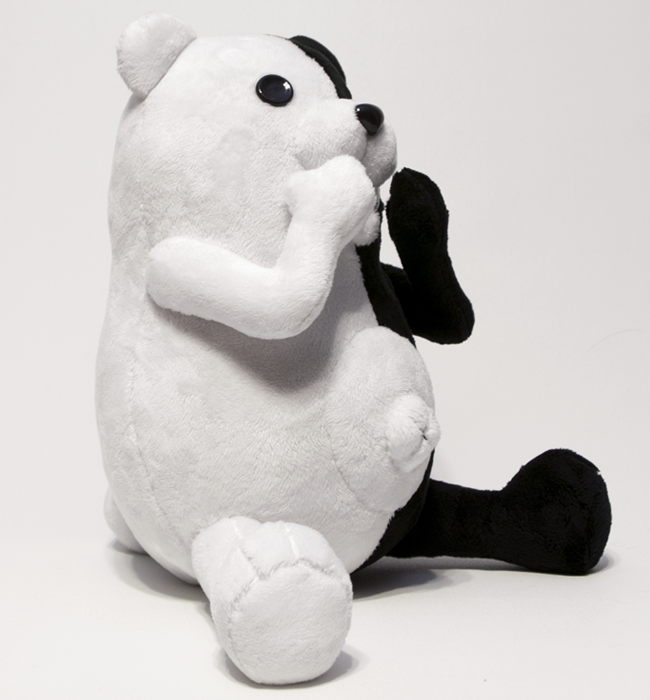 His protruding belly button and facial details are carefully hand sewn in place for maximum sculpted detail.